Nothing new has been seen from Rage 2 since QuakeCon 2018 in August, where seven minutes of gameplay were shown off. Fans of Bethesda’s nascent franchise should rejoice, though, as a new trailer will arrive during The Game Awards 2018. 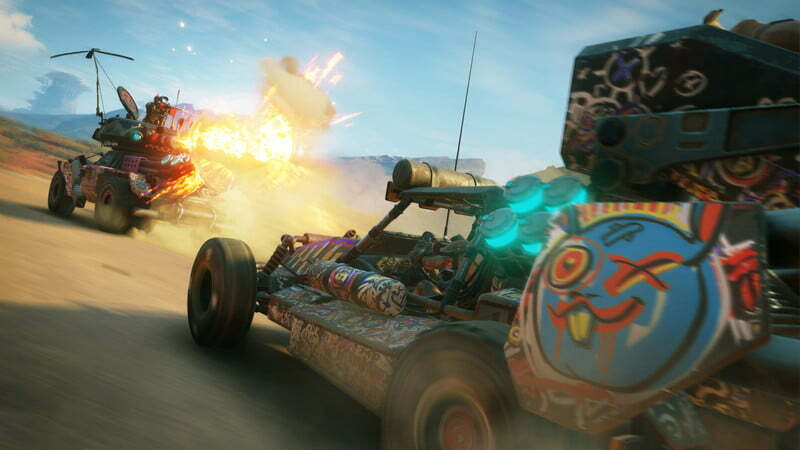 News of the trailer’s The Game Awards premiere surfaced in a tweet on Rage 2’s official Twitter account. It wasn’t an ordinary trailer tease, however. Unlike the teaser for Anthem’s Game Awards appearance, Rage 2’s doesn’t merely show footage and inform the audience of when to look forward to more. No, this teaser video creates a The Game Awards category, then nominates the Rage sequel, all while insanity ensues in the background. Based on this tweet alone, Rage 2 deserves a nod for the non-existent Post-Post-Apocalyptic Western category. Since nothing official in this regard will actually happen, fans will have to settle for the new trailer. If previous glimpses at Rage 2 are anything to go by, everyone is in for quite the treat. Following a leak, which was actually a boon for the game, Bethesda officially announced Rage 2 ahead of E3 2018. Just Cause’s developer, Avalanche Studios, is leading development on the Rage sequel. However, fans should still expect the new entry to feel like an id Software title. Apart from a Spring 2019 launch window, details on Rage 2’s official release date have yet to emerge. Perhaps the Game Awards trailer will reveal the date. We’ll know for sure soon enough. The Game Awards will air on December 6, 2018 at 9pm ET.